It's a cold rainy winter morning and Duncan Garvey from Perigord Truffles and butter king Pepe Saya are on the hunt for truffles in Marulan about 2 hours from Sydney. 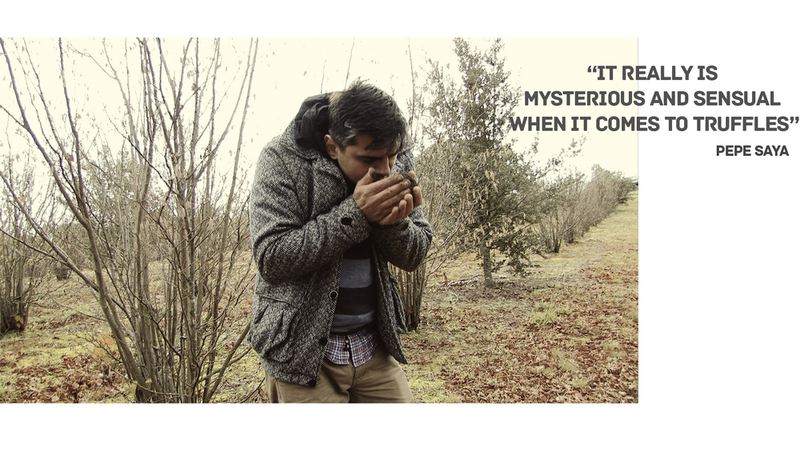 This is the first truffle hunt of the season and todays bounty will be churned into fresh truffle butter within 24 hours. The truffle dogs lead the way along the rows of trees stopping every few metres to dig their paws into the ground indicating they have picked up the fragrant smell of truffles just below the surface. 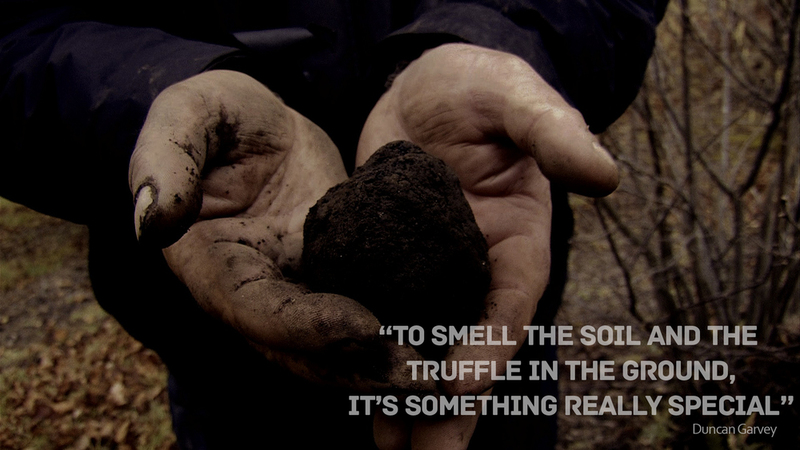 Duncan Garvey is soon on the ground smelling the soil in what looks like a prayer to the truffle gods and his well developed sense of smell will soon tell us if the truffle is ready for harvesting or should be left for another day. The freshly harvested truffles are shaved and mixed into Pepe Saya's beautiful cultured butter at his factory in Sydney. The truffle butter is then hand shaped and packaged ready for distribution to some of Australia's best restaurants and food purveyors. 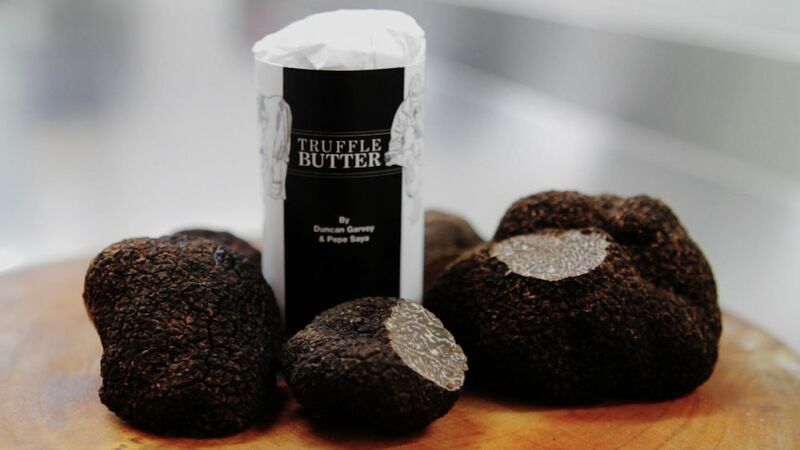 Truffle Butter from Duncan Garvey and Pepe Saya is available now from retailers around Australia or can be ordered here.